Resource > 4K Media > What’s The Best UHD to Blu-ray Converter? Summary: What’s The Best UHD to Blu-ray Converter? A 4K UHD disc has four times the storage capacity of a normal Blu-ray disc. A normal Blu-ray disc is BD25 which can hold up to 25GB of data. But a BD-100 (BDXL) can store up to 100GB of data. So you can calculate why it is four times the BD25 in storage specs. 4K UHD discs with HDR10 deliver ultra-high definition entertainment on a 4K screen. But sometimes it may become a compulsion to downscale those 4K UHD discs so that they can be played on non-4K TVs, common BD players, and devices like smartphones. In this article, we will discuss DVDFab UHD to Blu-ray converter – the best UHD to Blu-ray converter. What is DVDFab UHD to Blu-ray Converter and What it Does? DVDFab UHD to Blu-ray converter as the name suggests is the best UHD to Blu-ray converter software for 4K UHD Blu-rays and ISOs which downscales them to fit on BD-25/50 blank Blu-ray disc. You also have the option to save the downscaled 4K UHD Blu-ray discs as ISO files and folders and you can also directly burn blank Blu-ray discs from within this software. The burned BD-50/25 Blu-ray discs can then be played on normal Blu-ray players with 1080p quality. 1080p Blu-ray resolution is the standard resolution that is supported by every Blu-ray player out there. So, the downscaled movie will not have any compatibility issues with any of the Blu-ray players. 4K UHD movies are shot with a special camera feature known as HDR10. HDR10 enhances the video image quality to a lifelike quality level. Not all Blu-ray players recognize HDR10 from the 4K UHD discs. But DVDFab UHD to Blu-ray converter will downscale those HDR10 supported UHD discs in a way which doesn’t compromise the video quality too much and keeping the video quality as much best as possible. Here’s a step-by-step tutorial on using this software. We already gave you an introduction of DVDFab UHD to Blu-ray Converter - the best 4K to 1080p converter above. So you are familiar with it and its working. In this brief step-by-step tutorial we will discuss its working. 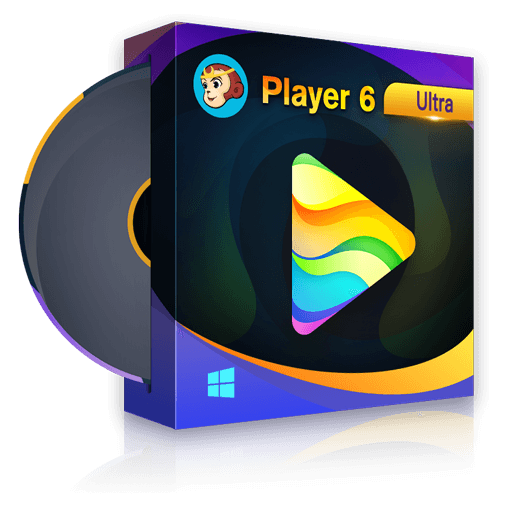 · First of all download and install the 64-bit version of DVDFab 10. 32-bit version doesn’t support UHD to Blu-ray conversion. · You should have a 4K UHD Blu-ray disc otherwise 4K UHD ISO will also work the same way. · Open DVDFab 10 64-bit and click the ‘Copy’ tab. It will automatically load your 4K Blu-ray disc. If you aren’t using a disc then load an ISO by clicking the ‘Add’ button. · Now just click the ‘Copy Mode Switcher’ button and select ‘UHD to Blu-ray’. · Click ‘Choose Other Titles’ and select which titles you want to keep and which to skip. · Click the video ‘Settings’ button to customize the settings. · In the ‘Output’ either select ‘BD25’ or ‘BD50’ as per your requirement. · You can also select options if you want a custom disc menu or no menu at all. · Click ‘Custom Menu’ and a disc menu customizer and designer will open. · Here you can customize the ‘text’, ‘background’, ‘add more images’, and drag and drop menu objects. · After customizing the menu click the ‘OK’ button to go back to ‘Advanced Settings’ then click ‘OK’ again to return to main window. · Now you have two options either burn the downscaled movie directly to a blank BD25/50 disc or save an ISO file and burn it later. · To save an ISO file click the ‘ISO file’ button and select the location where you want to save it. Check the second image above. · If you want to burn a blank BD disc then insert a blank BD disc in to the Blu-ray optical drive and select the BD drive from the ‘Save to’ option. · If you want to create and save those 4K UHD Blu-ray movies as a folder then click the ‘Save to’ option and select the default directory which is ‘Document>DVDFab 10’. Your downscaled 4K UHD Blu-ray movie will be saved here as a BD folder if you choose this option instead of ISO or direct BD disc write. · After making your choice click the ‘Start’ button and wait till the conversion process completes. · After the conversion completes you can play that BD25 or BD50 on a common Blu-ray player with 1080p resolution. You have successfully learned to use DVDFab UHD to Blu-ray converter – the best 4K to 1080p converter and now you can convert all your 4K UHD discs to common Blu-ray format (1080p) and can even burn them or save them as a BD25/50 ISO or folder. · The UHD downscaling makes the output Blu-ray format highly compatible with common Blu-ray players, gaming consoles, PCs, and BD ROM drives in laptops. · While conversion it tries to maintain the best possible video quality. The HDR10 to SDR conversion is outstanding and no significant differences are seen on a 1080p HDTV. · Lets you save the downscaled 4K UHD media as an ISO file of folder. · Have a built-in Blu-ray burning engine. No need to look for third-party Blu-ray burning software. · It only compresses the video but preserves the original lossless audio tracks. · With Intel Quick Sync, Nvidia CUDA, and AMD Acceleration the conversion becomes really fast. All you need is the compatible computer hardware for faster processing. So, this is an in-depth review of the DVDFab UHD to Blu-ray converter. It is now your turn to test out this software. Don’t worry if you don’t have blank Blu-ray discs right now. You can choose the alternative and save your downscaled movies as ISOs. Blu-ray ISO files are easily recognizable by many media players. So, if you don’t want to burn your downscaled movies then you can just put those ISO files on a USB drive and can let your HDTV play it if it detects BD ISOs. So download the software and test it yourself, because it is free to use for the first thirty days. Later on you can decide to buy. Looking for the best media player for Android? Here we have found top 5 best media players for Android with more powerful features for your reference.